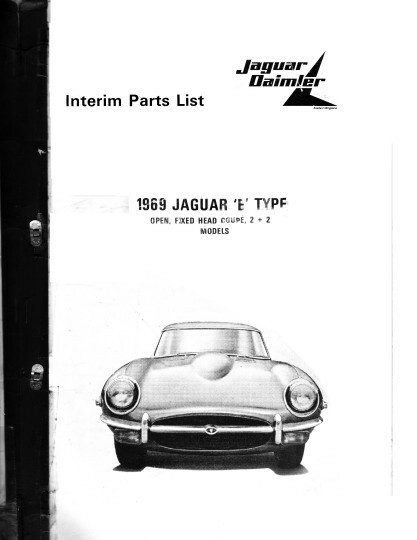 IPL - Jaguar-Daimler Interim Parts List - Series II �E� Type, Open, Fixed Head Coupe, 2+2 Models: a typed parts list that includes some 1970 updates, some EX/EM, and both air conditioning systems. 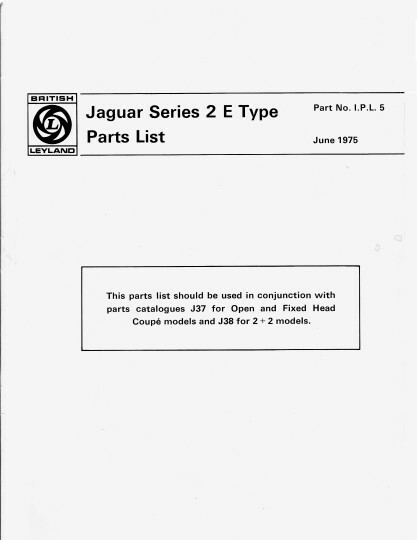 This list is intended to be supplementary to J.37 and J.38 but includes all of the basic parts for areas that changed from the Series I cars and very few of the parts for areas that did not significantly change from the Series I cars. 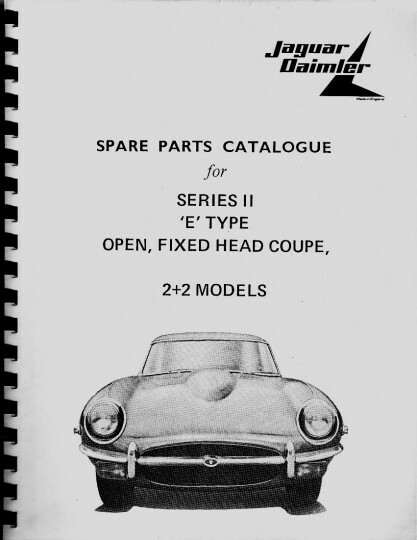 IPL.5 - Jaguar-Daimler Interim Parts List - Series II �E� Type, Open, Fixed Head Coupe, 2+2 Models: a typed parts list that includes some 1970 updates. 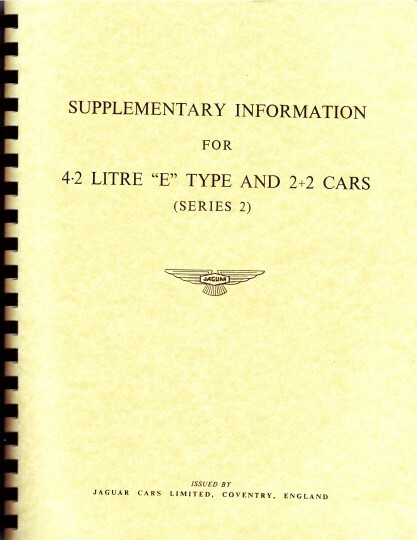 This list is intended to be supplementary to J.37 and J.38. 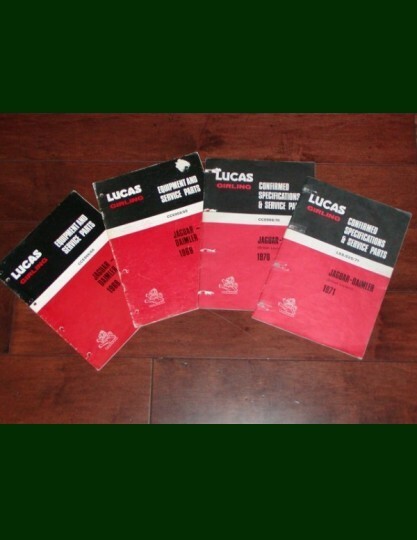 There are three different version referenced. 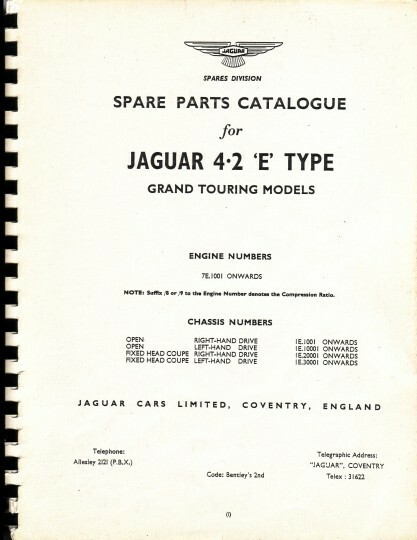 J.37 - SPARE PARTS CATALOGUE FOR JAGUAR 4.2 �E� TYPE, the complete illustrated parts catalogue for the Series I 4.2 OTS and RHC models. 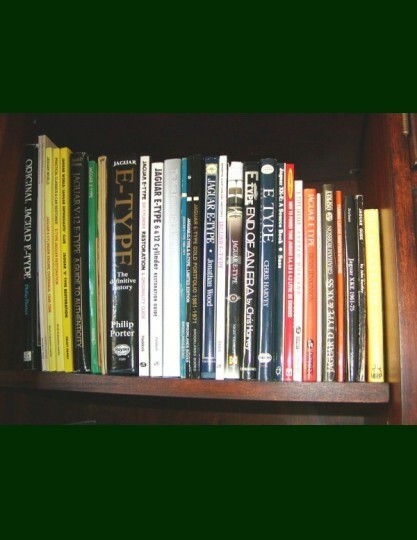 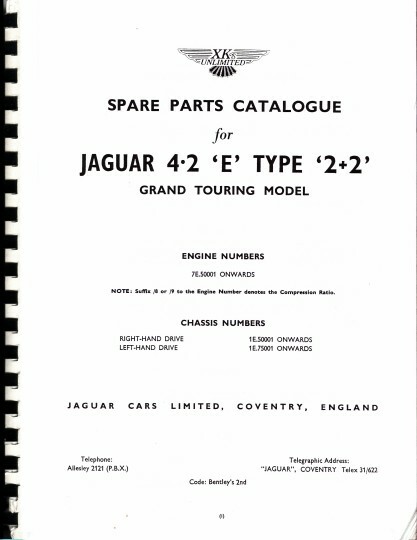 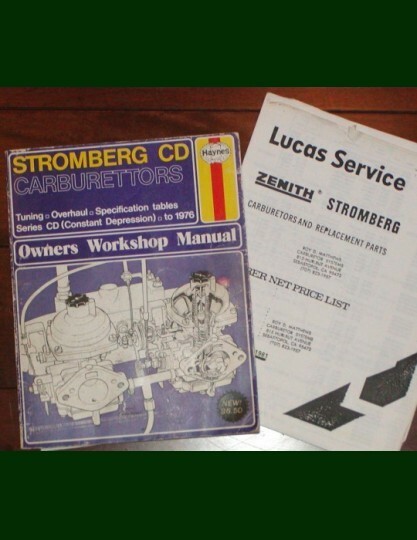 J.38 � SPARE PARTS CATALOGUE FOR JAGUAR 4.2 �E� TYPE �2+2� GRAND TOURING MODEL, the complete illustrated parts catalogue for the Series I 2+2 model. 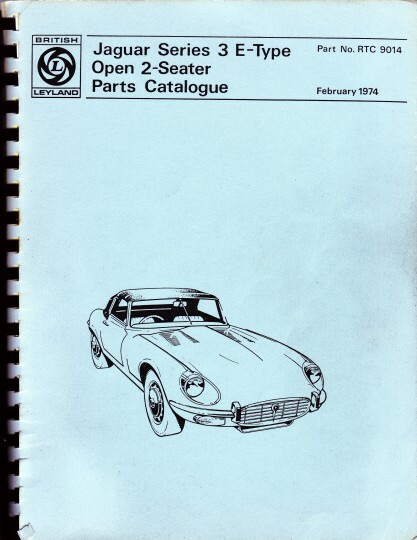 RTC-9014 - Jaguar Series 3 E Type Open 2-Seater Parts Catalogue, the complete illustrated parts catalogue for the V-12 OTS. 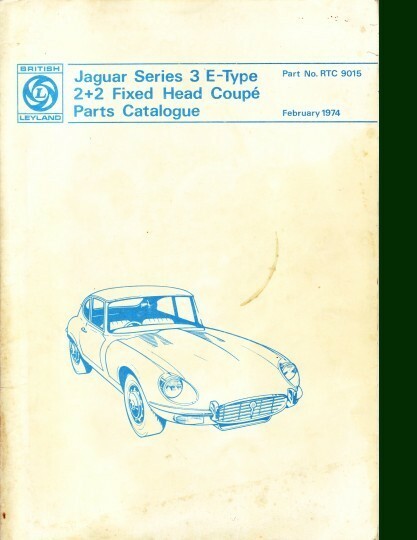 RTC-9015 � Jaguar Series 3 E Type 2+2 Fixed Head Coupe Parts Catalogue, the complete illustrated parts catalogue for the V-12 2+2. 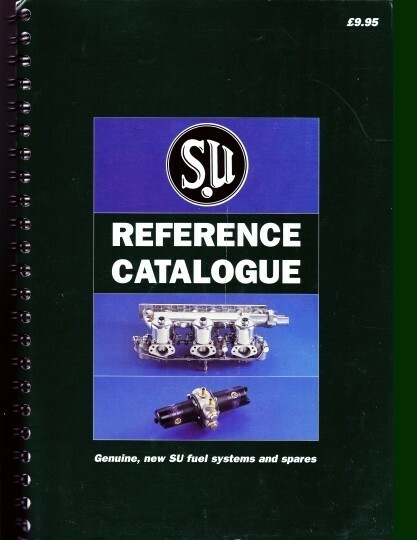 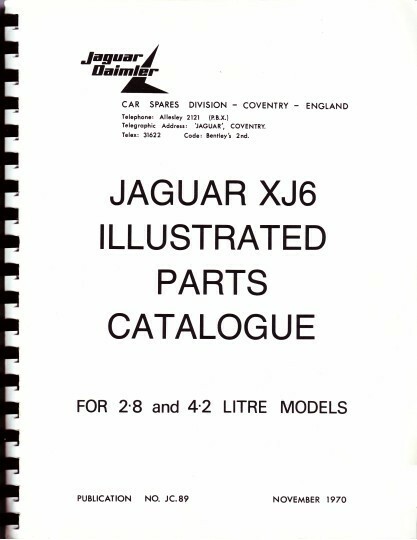 JC.89 � Jaguar XJ6 Illustrated PARTS CATALOGUE for 2.8 and 4.2 Litre Models, the official parts catalogue for the Series 1 XJ6. 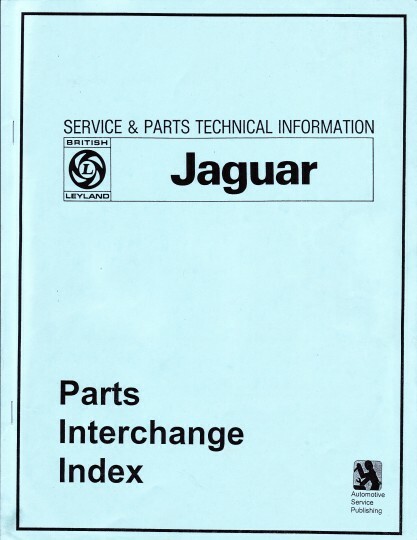 IPL (1968) - JAGUAR INTERIM PARTS LIST FOR 1968 Jaguar 4.2 �E� Type L.H. 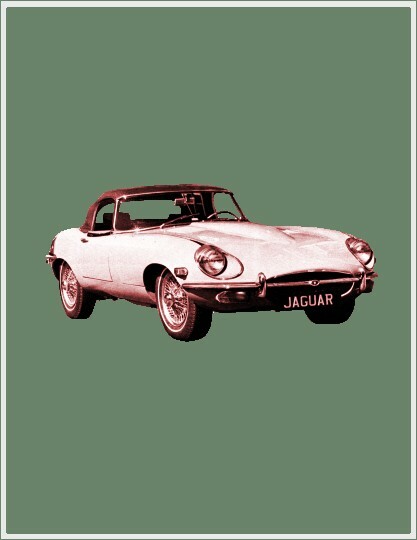 Drive and 1968 Jaguar 4.2 �E� Type 2 + 2 L.H. 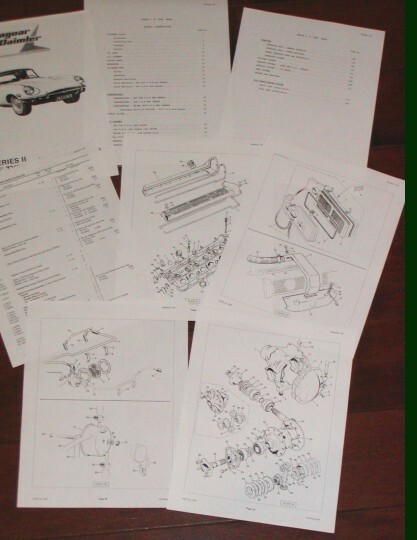 Drive, a typed parts list showing primarily the updates to J.37 and J.38 for 1968 model year. 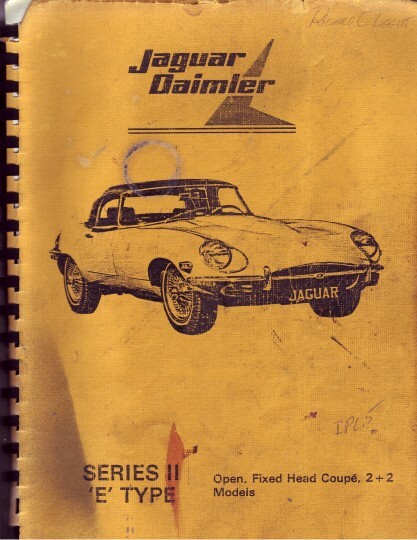 IPL (1969) � Interim Parts List � 1969 JAGUAR �E� TYPE - OPEN, FIXED HEAD COUPE, 2 + 2 MODELS, a typed parts list showing primarily the updates to J.37 and J.38 for 1969 model year. 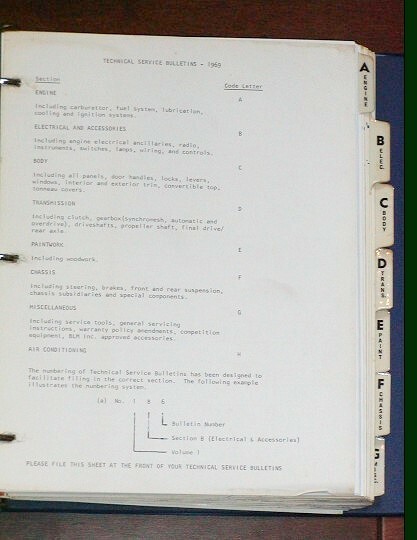 Far more comprehensive in scope than the 1968 IPL. 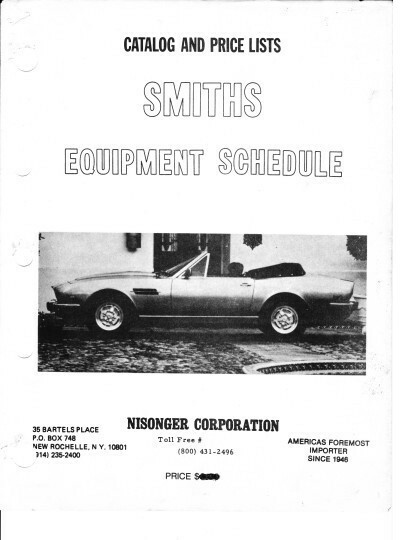 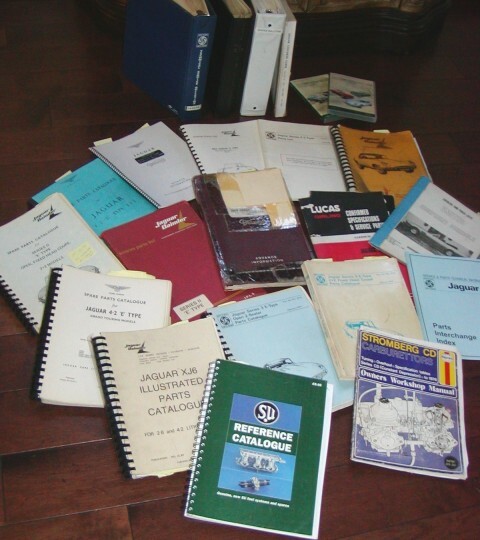 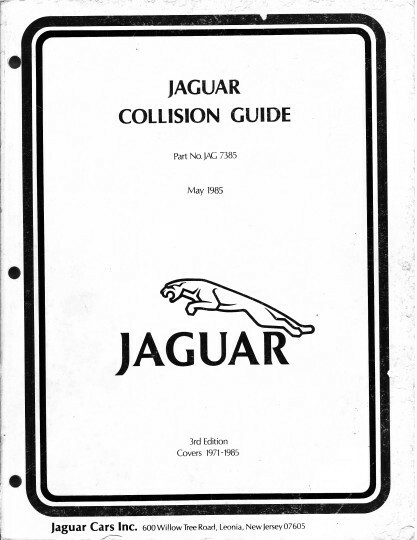 JAGUAR TECHNICAL SERVICE BULLETINS � Published in Leonia, NJ for U.S. specification cars. 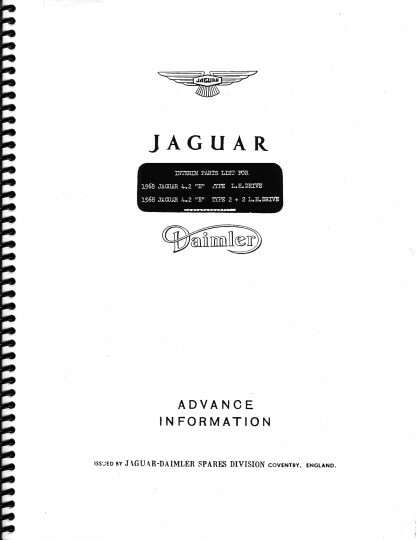 JAGUAR SERVICE BULLETINS � Published at Browns Lane for all specification cars. 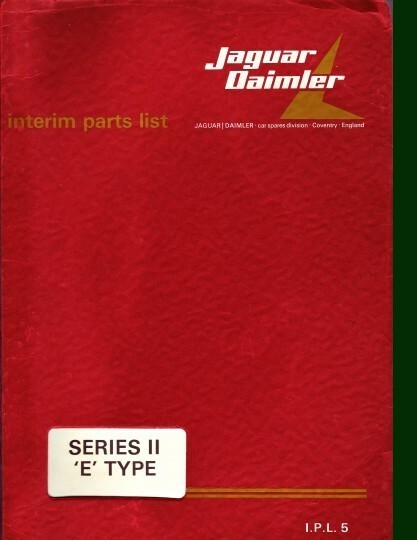 JAGUAR DAIMLER IMPARTS Bulletins � a collection of parts bulletins that included corrections to IPL�s.